Add all ingredients to a blender. Blend until smooth and pour into a champagne flute or white wine glass. Garnish with toasted coconut flakes. The Brazilian batida is a sweet, typically fruity, and fun blended cocktail utilizing Cachaça. This Coconut version is wildly popular in Brazil and boasts a sweet, rich, tropical taste. 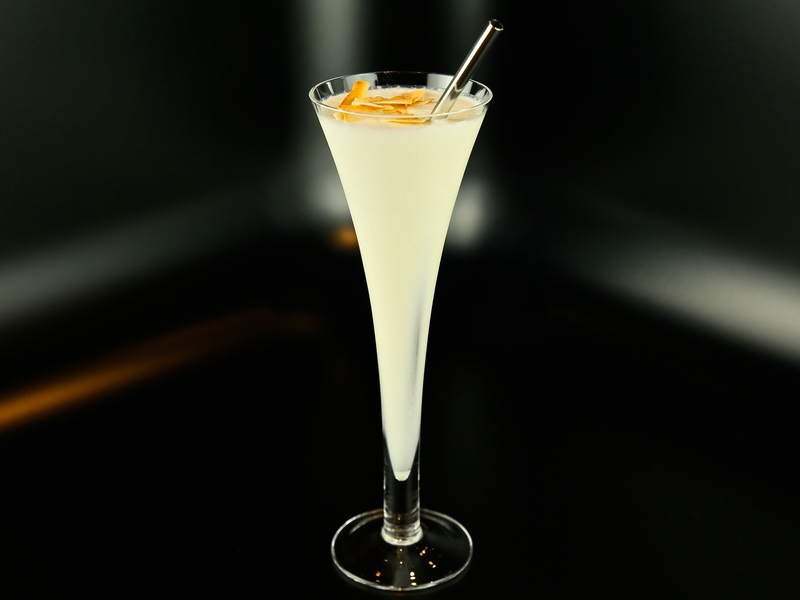 Simple to prepare, it is a delightful blend of a Brazilian rum, coconut cream, sweetened condensed milk, and ice. 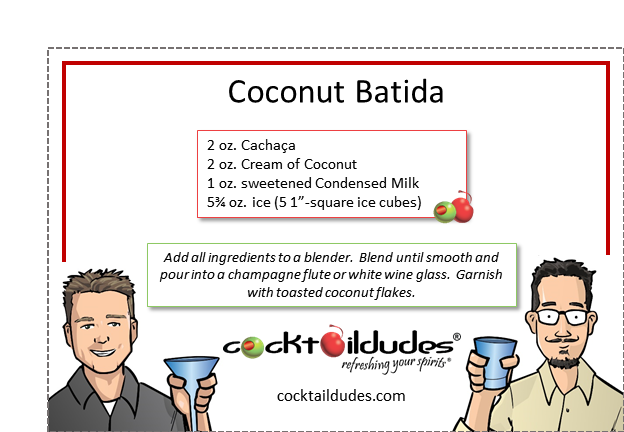 Check out the other Batidas we’ve made, including some irreverent takes on this refreshing Brazilian drink. Cheers!